Brit restraint alert: I was somewhat taken with the LS6 speakers from Graham Audio. The design principles behind them swim against the tide. It’s simple – the cabinets are supposed to vibrate. Forget Fort Knox solidity, forget 25mm side walls. Say hello to thin cabinet walls that oscillate with the music. The trick is in the cabinet damping and bracing. It shifts resonances out of the way, leaving a natural tone. With skilled design, the thin-wall approach works well. The grandfather of the BBC sound was Dudley Harwood, a senior BBC engineer who went on to found Harbeth. Belonging to the Plymouth Brethren, a strict Christian sect, he couldn’t listen to music for work or pleasure, so human voice was his mainstay. That he managed to design such iconic speakers is remarkable. In a twist of fate, there is now a Plymouth Brethren meeting room over the road from Graham Audio’s HQ in Devon UK. Graham design and manufacture their own take on all three of the classic BBC models – the LS3/5A, LS5/9, and big boy LS5/8 (£1,750, $2,995 / £3,495, $6,795 / £6,995, $12,995 – Euro prices same as £). There’s also the LS3/5 – without the A suffix – that’s the original monitor. According to boss Paul Graham, it sounds better but some markets insist on ‘authenticity’. 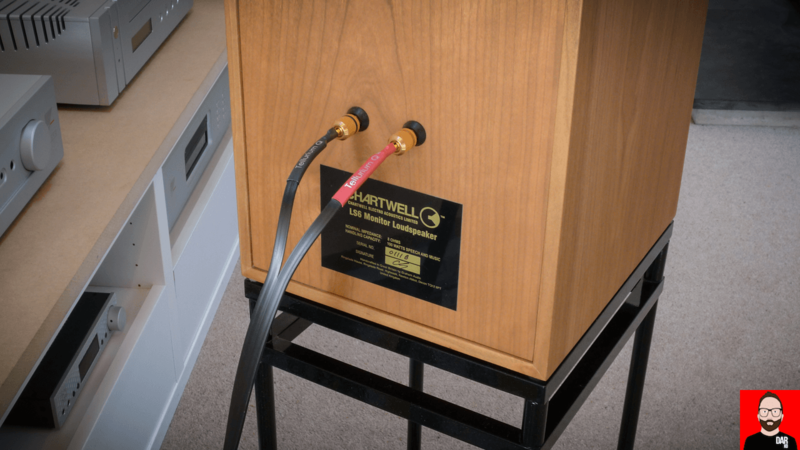 Between the LS3/5A and LS5/9 is the £2,200 / €2,200 / $3,295 Chartwell-branded LS6 reviewed here, born from a desire to try a larger driver in a small cabinet. Physically the end result is diminutive-plus; a scaled-up LS3/5A rather than a shrunken LS5/9. Reverse that for the sonics though, the LS6 sounds big. The immaculately finished cabinets – available in five wood finishes – house a 19mm dome tweeter and a 165mm polypropylene mid/bass unit. Singled wired only. On the back, a flared port, on the front a switch to add 1 or 2dB to the top end. 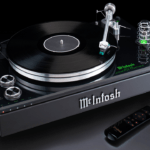 Being able to adjust the treble was useful – for much of my listening I upped it 1dB. That was with a Mytek Brooklyn+ (£1,800) shuffling the digits via an Ayre AX-7e amplifier (£2,750). Replacing the Mytek with a GoldNote CD-1000 player (€3,800 – review soon) I preferred things flat. Ditto with the LS6 playing through an Ayre EX-8 streaming amplifier (£7,750 – review soon). There were also times when I adjusted things for a specific recording – some of those from the Telarc label needing taming on top. 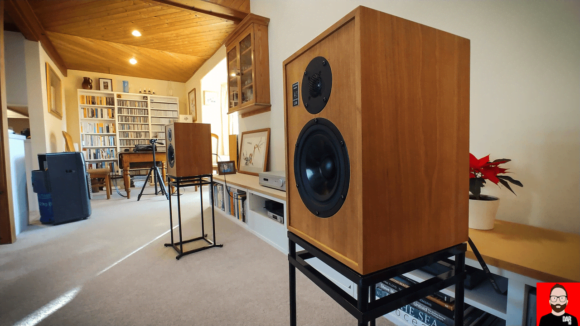 You’ll need a good pair of stands to go with the LS6 – preferably an open frame design that allows the bottom panel of the speaker to vibrate into free space. On top of otherwise-decent Target stands my Harbeth C7/2s (£2,650) – also a thin wall design – sound like the blues have descended on the room. Everything is flat and lifeless in comparison. I used Graham Audio’s own stands that worked well but are no longer offered by the company – getting them bought in wasn’t viable so you now have to source your own. A shame as the LS6 speaker + stand combination worked well visually, aided by the speaker’s compact dimensions (37x24x26cm WHD). The Harbeths look portly in comparison. A rear port usually means we need to put some daylight behind the speakers, right? Not at Christmas, when visitors / gifts / tree demanded they be relocated to low cupboards, close to a wall. Darn me if a Roon-DSP-supplied bass trim didn’t have them sound surprisingly good. 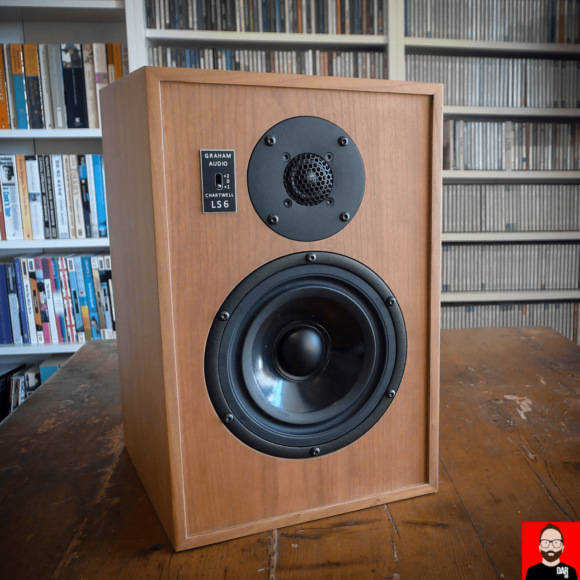 Back in audiophile-Phil world – the LS6 on stands again – I settled on angling them in slightly with the rears 75cm from the wall. Any further out and the adjacent wood burner might have had something to say about it. In this position despite trying to optimise it, the bass was still occasionally over prominent with the Ayre AX-7e and Brooklyn+ in play. Glen Hansard’s Between Two Shores, for example, sounded heavy, the bass dominating proceedings. A Bridgedale Hike Midweight sock (£18) in the ports tamed things lower down but messed ‘em up elsewhere. Over to Roon again, where a subtle EQ trim brought things into balance beautifully. No bass adjustment was needed with other gear. The GoldNote CD-1000 was fine, as was the Ayre EX-8. Whether it was the speakers, electronics or my room I know not, I do know it’s worth being persnickety though. The LS6 encourages you to chase that last 5% of sound quality. Magnetic grills are supplied. Mine arrived some time into the listening period as the review LS6s were Paul Graham’s own pair and he hadn’t had grills made for them. Sonically they made little if any difference. I preferred the aesthetics with them on – the look was sharpened up a bit. The main accompanying cast was the aforementioned Ayre AX-7e amplifier together with Mytek’s Brooklyn+ DAC (£1,800) drinking from a high-quality SBooster power supply (£279). Allo’s USBridge (£140) fulfilled streamer duties. Cables were Atlas XLRs and Tellurium Q Black 2s for the speakers (£270 / 2.5m). As noted GoldNote’s CD-1000 – fed by CDs and by Roon via an Allo Digione – provided an alternative front end. Towards the end of the listening period, the Ayre EX-8 streaming amplifier also got a run – one box to rule them all. 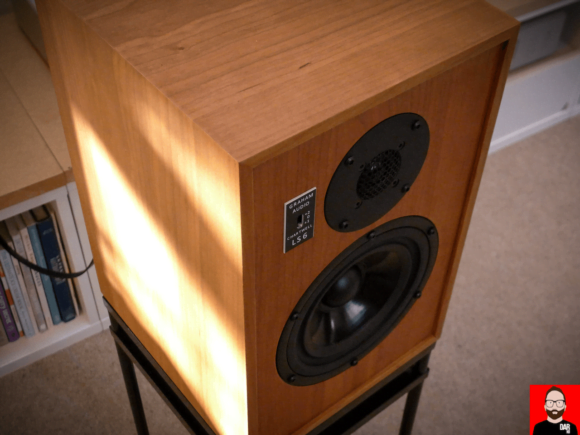 Speaker comparisons were provided by the Harbeth C7/2s and Neat Explorers (£3,495). 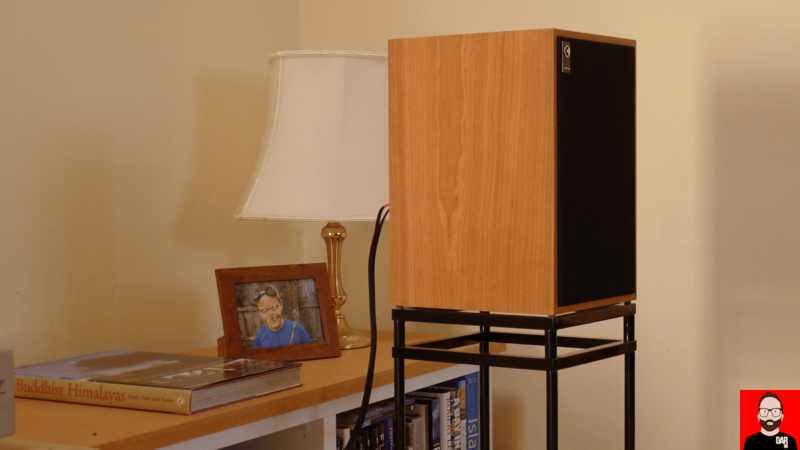 First impression: same sonic signature as the Harbeth but better in every respect. And that was from 3 metres left of the left-hand speaker and virtually in the same plane as them. Surprisingly it’s often a good indicator of how they are going to sound from my normal listening position – 2.8m in front of them, with the speakers around 1.8m apart (9ft / 6ft in old money). Against the Harbeths, the Graham Audio LS6 delivered greater clarity, more detail, a bigger soundstage and clearer bass. Tonally everything was similar, just considerably tighter, as if the Harbeths had been refreshed. Which they have been – mine are the MK2 version. I wouldn’t bet on the MK3 in a contest with Graham Audio’s smaller (and less costly) LS6 though. 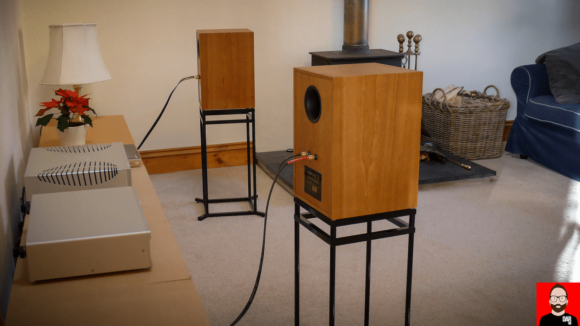 Against the MK2 Compact 7, the Grahams won a first-round knockout – they got me more intimate with the performers, something readily apparent throughout extended listening. Not just on intimate music either. Tord Gustavsen’s Being There on ECM sounded sublime, the hugely overproduced opener on David Guetta’s 7 album was huge fun as well though. Bass is strong when appropriate. The specs say -2dB at 45Hz, in listening terms that translated to Grace Jones / Kangding Ray / Teodor Currentzis and other bass test tracks having an impressively strong impact. True the Neat Explorers go even lower but not much more. Partly because of that excellent low end the soundstage presented by the LS6s is panoramic, again notably besting the Harbeths and adding to the LS6’s believability. The Neat Explorers shared this trait – it was a key characteristic – but the LS6 improved on them with greater depth. Add to that surprisingly strong dynamics for a small speaker and you have a big sound that can really boogie. 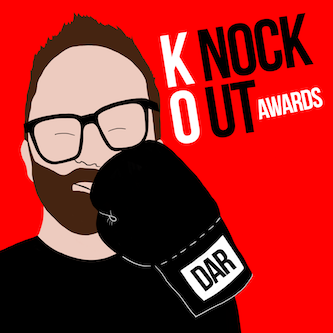 It’s not brash though, we’re talking honed – in heavyweight boxing terms an Anthony Joshua, not a Tyson Fury. Vocals retain their characteristic warmth and there was detail aplenty meaning the LS6 places performers clearly within a large acoustic space. Ultimately with the right partners, the LS6 focuses us on performance nuance, not just its sound. It would be easy to see the LS6 as an LS3/5A on steroids, negating the need for external bass reinforcement from a subwoofer. Graham offers dedicated stereo subs for those who simply cannot do without. 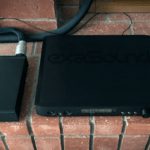 I haven’t heard that setup but the LS6 running solo is a more elegant solution – fewer boxes, fewer wires, better aesthetics. The price is also attractive. £2,200 is far from pocket money but it’s temptingly close to the LS3/5a and significantly less than the LS5/9. I hesitate to use the word bargain here but the value quotient is certainly high. And if you want a bit more bass without resorting to a sub there’s always the LS6F floorstanding version (£2,995) that goes 5Hz lower. It ports frontward at the bottom of the speaker as well and should therefore be easier to place. Having just switched back to the LS6 standmounts after running the Harbeth C7/2s for a couple of days, the differences remain considerable. Thinwall sound advocates can have their cake and eat it, the LS6s ceding none of the benefits whilst also sounding faster, dynamic, and more controlled. Their appeal will be much wider than that though, particularly given that they cover many music genres with aplomb. I’m keen to hear the bigger LS5/9s now, but as with the Mytek Liberty and Brooklyn DACs, I can see how the baby of the two might get one’s vote. Go have a listen to the LS6, you might fall for them as much as I did, which, if it’s not already clear, was a good deal.